Grow your leadership: Volunteer with us! Support Your Community: Donate to Helping Link! 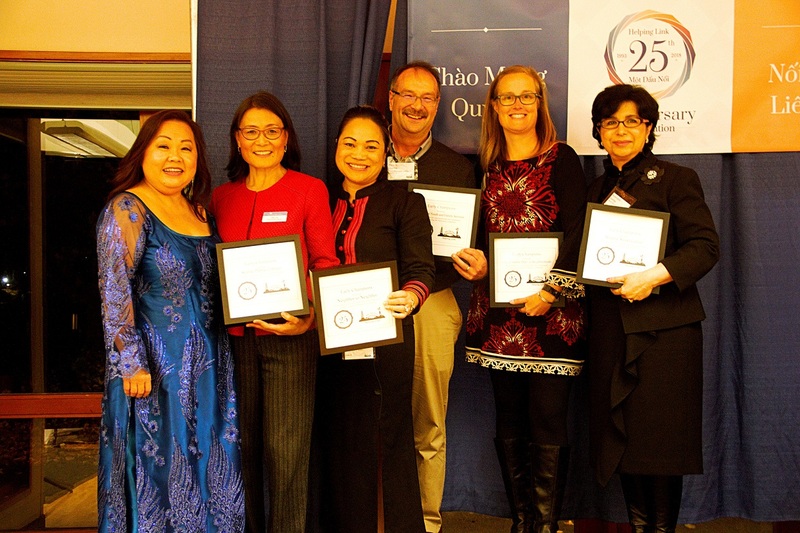 On Saturday night November 3rd, over 200 supporters of Helping Link gathered at the Tukwila Community Center to celebrate our 25th anniversary of opening doors through English, citizenship and technology classes as well as information and referral services. We are excited to announce that we raised $55,000. During the event, Lieu Nguyen, a student from Helping Link’s classes, demonstrated great courage and skill by sharing her story with our guests. We also recognized key organizations and individuals that have supported Helping Link throughout the years including Early Champions: Atlantic Street Center, City of Seattle Dept of Neighborhoods, Neighbor to Neighbor, Seattle Public Library, Southwest Youth & Family Services, and Social Justice Fund Northwest as well as Special Advocates, Jim Diers and Eunice Letzing, for their key support during Helping Link’s beginning. 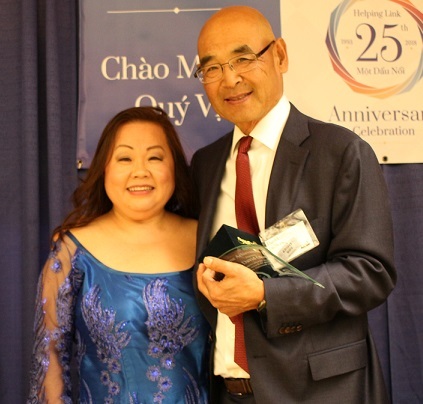 David Okimoto, a leader in the non-profit community for the past 45 years, was honored with a Lifetime Achievement Award for serving as a mentor to the Helping Link/Một Dấu Nối founders and as the first fiscal sponsor of Helping Link/Một Dấu Nối while also head of the Atlantic Street Center. 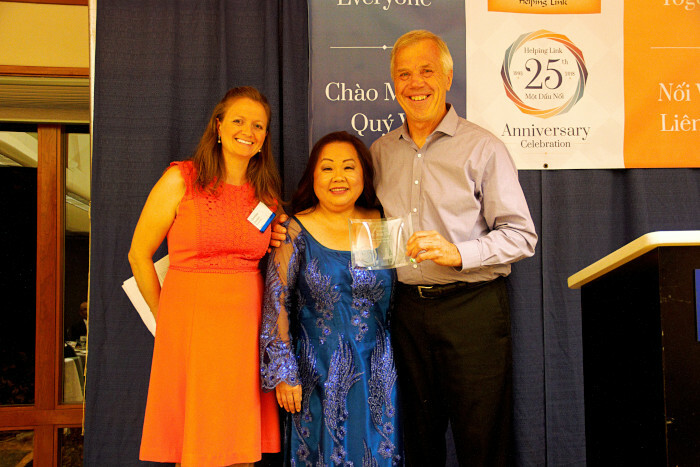 The Board of Directors recognized, Minh Duc Nguyen, for her dedication to Helping Link and the Vietnamese community for the last 25 years. It is amazing that Minh Duc’s vision to support Vietnamese immigrants and refugees to develop the vital skills needed to thrive in their new country has assisted more than 15,000 people over 25 years! Big thank you to all of our sponsors, donors and volunteers who made this event a success! Thank you for all you do for Helping Link! Cảm ơn rất nhiều (thank you so much) to all of our volunteers and partners for making this incredible evening possible! The Technology Matching Fund is an annual grant awarded by the City of Seattle for digital equity projects – in Helping Link’s case, this means upgrading our computer lab, building infrastructure for a mobile lab, supporting partnerships with other providers. This award matches not only dollars, but in kind donations such as volunteer hours, making Helping Link a perfect candidate. Look for updates about how we are using this exciting award in our next newsletter! At a job overseas I learned that moving to another country is not easy. It is hard to learn a new language, a new set of rules, and a new set of customs. I deeply appreciated the patient people who helped me find my way in that new and intimidating place and found in them a standard I want my own country to live up to. I joined Helping Link because I want the United States to be warm and welcoming to anyone willing to embrace it. My co-instructor Tùng and I with our iPad class from Fall quarter. I taught my first quarter of classes at Helping Link this past Fall. Without exception, I looked forward to it every single day of class. Our students are eager to learn and diligently practice; they direct their own self improvement. It is a uniquely fulfilling experience to help them along where I can and celebrate their successes with them. Some of our team celebrating the Fall Quarter Graduation. Our team is composed of people from all over the world and at different points in their life, but all of us share a basic belief that what we do here is worthwhile. I am grateful to have their company in my life. I highly recommend coming to Helping Link for one of our volunteer orientations to see if this is a team that feels right for you! Helping Link has been working in partnership with InterIm to provide ESL classes to residents living in their buildings. 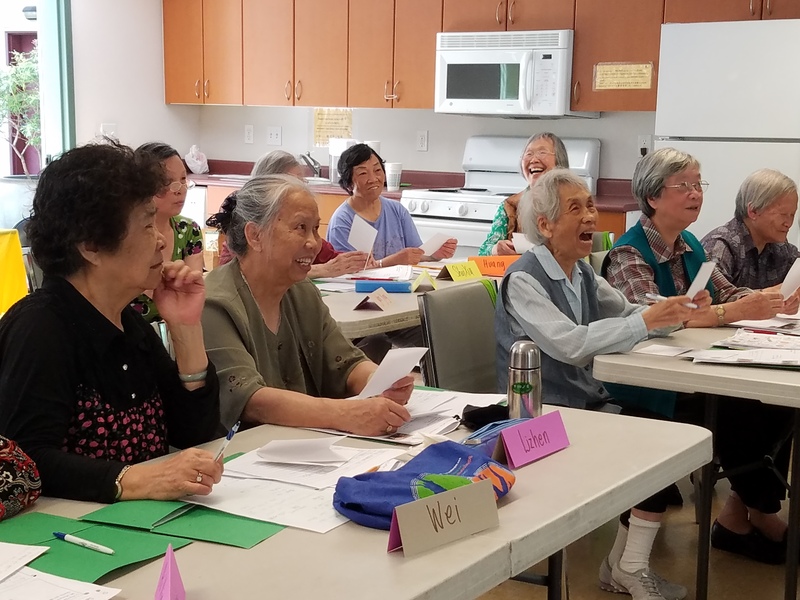 The project, called "Set for Success", has been instrumental in providing mostly elderly Chinese-speakers an opportunity for learning and community. The three quarters of classes provided last year were such a success that we will grow our partnership to serve more people. InterIm owns 5 mixed-use affordable housing buildings with a total of 305 units housing 577 residents. Helping Link is privileged to offer ESL classes to some of those residents. 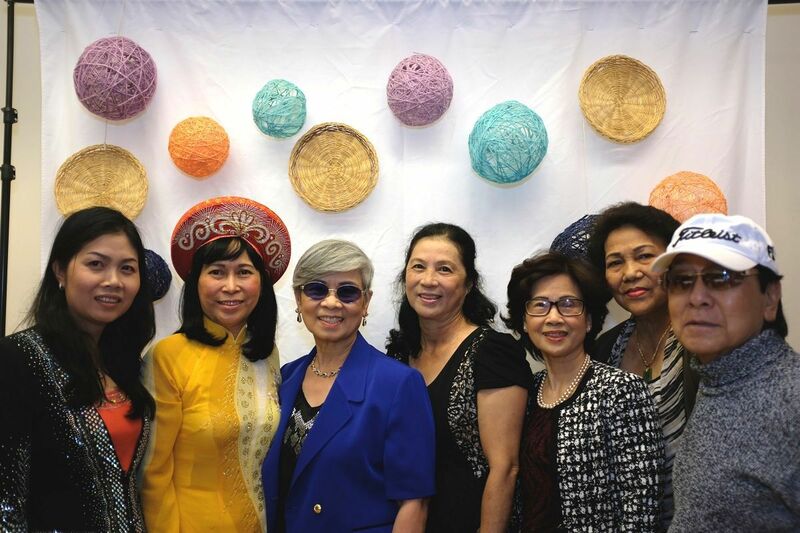 Anyone interested in working with us toward our vision of a thriving Vietnamese-American community!